When 20-year-old Suon Chiva was choosing a language to complement his native Khmer, it didn’t take him long to decide. He saw where the products in his local markets were made and where the new investments in his country were coming from. Learning to speak Chinese, he decided, made the most sense. It’s a view shared by most here in a stuffy classroom in Phnom Penh. Chiva and a dozen other students sit on wooden benches, whirling fans pushing warm air around the room, as a teacher not much older than them runs through a lesson on Mandarin tones. The school is one of several that have popped up on the same busy road in the Cambodian capital in recent years. Brightly coloured signs splayed with Chinese script tower above the traffic. Inside, a warren of interconnected classrooms reaches inside the aging building. Out front, employees in matching shirts hand out brochures for part-time classes, or sell textbooks to the students darting in and out. They’re catering to young Cambodians looking for a step up in an emerging economy. For years, learning English has been a prerequisite for many Cambodians wanting to get ahead. But with China’s increasing clout and its conspicuous investments in the region, speaking Chinese has also become a valuable skill. The results of China’s soft power efforts are up for debate. But here in Phnom Penh, many young people are just as eager to learn about Chinese culture and language as China is to export it. 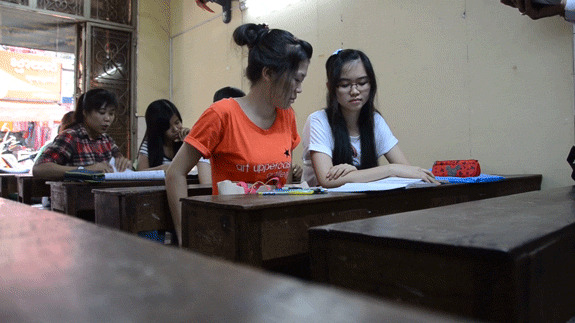 A local association of Chinese-Cambodians claims there are some 30,000 full or part-time students now learning the language—many of them in places like Jing Fa Chinese School, which offers basic Chinese lessons at modest prices. The school also offers basic lessons in other languages, including English, Korean and Vietnamese. But when new students ask him for advice, Sochea says he steers them in one direction. China has become a dominant investor here. Since 2005, approved investments from Chinese companies in Cambodia have exceeded $8 billion USD, according to the Cambodian Investment Board—far above the sums expended by the next closest, Korea. But these figures offer just a partial picture of Chinese ventures in Cambodia; they represent only projects approved for tax exemptions and other incentives. They also don’t include investors in the country’s special economic zones, or smaller projects approved by provincial authorities. These often murky investments have little public transparency and, conveniently for the Cambodian government, lack the demands for accountability and oversight associated with western investments and aid projects. Many of the rural Chinese investments are situated on controversial government land concessions, which rights groups blame for fueling a simmering land crisis that sees ordinary Cambodians losing land and homes to powerful business interests. In the city, Chinese funding is earmarked for expansive urban developments and infrastructure projects. In the countryside, Chinese firms are active in large-scale hydropower, logging, steel, rubber and industrial-scale agro-business. Chinese money is literally changing the shape of Cambodia’s landscape. Textbooks on display outside a language school in Phnom Penh. For Chea Munyrith, China’s prominence in today’s Cambodia stands in marked contrast with his childhood growing up in the post-Khmer Rouge era of the 1980s. He remembers his ethnic Chinese grandmother being too afraid to speak her Teochew dialect; she didn’t bother to teach it to him. As an adult, however, Munyrith now finds Chinese integral to his career. He’s the co-director of the country’s first Confucius Institute, the academies that have been at the forefront of China’s global cultural push. Munyrith learned Mandarin so he could communicate with his Chinese counterparts. Since 2010, the Confucius Institute here has been offering language lessons to Cambodian public servants. The adult students include government bureaucrats, officers and cabinet level officials. And when it comes to politics, recent events have shown China and Cambodia are often speaking the same language. China’s ongoing territorial disputes in the South China Sea have caused friction within the region. As last year’s chair of the regional bloc, the Association of Southeast Asian Nations, Cambodia was accused of siding with China ahead of its own neighbours when it came to discussions on the maritime dispute. Pavin Chachavalpongpun, an associate professor at Kyoto University, says the trend among ordinary Cambodians to learn Chinese is an acknowledgement of China’s increasing prominence. But as the ASEAN controversy showed, the Chinese largesse in Cambodia does come with implied obligations. For many starting to learn Chinese, however, it represents an opportunity for a promising future. Back at Jing Fa Chinese School, afternoon classes have wrapped up. Twenty-six-year-old Kaing Mengty is packing up his books and getting ready to head back to his job selling Chinese-made goods at a nearby market. This story first appeared in The Diplomat.